1. What kind of deposit do you require? 2. If I bring my logo on a disk / CD, what format works best? 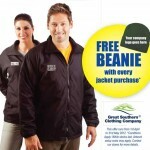 Depending on your needs and the design of the garment or promotional product, many formats are viable. See our artwork requirements section or call to discuss. Artwork Requirements, please click here. 3. Can you apply photographic or detailed graphics to garments? Yes we do heat transfers, direct to garment prints and screen printing, even on black and other dark colours. Ask us which process is more suitable for your purpose. 4. Can you make a stitch file from a digital photograph? Yes, it is possible. However images with a lot of fine detail may not reproduce and images have to be “posterized” into a few colours to be stitched. Realistically you cannot get a photographic result. A heat transfer or direct to garment print may be more suitable and cost effective. 5. Can you put more than one logo on a garment? Yes we have put ten or more logos on some garments. For instance multiple sponsors names can be embroidered on the sleeves of garments. 6. I notice that many people are now wearing fitted garments. Do you stock these? Yes. We have a huge range of ladies and men’s fitted garments, from t-shirts to casual and business attire. 7. If I have special colour matching requirements – or need to have my letterhead/business cards matched, can EmbroidMe meet my needs? 8. Can I send new staff to you for all uniform sizings? Yes, and if it is more convenient we can come to you. 9. Do you sell workwear and high visibility clothing? Yes. 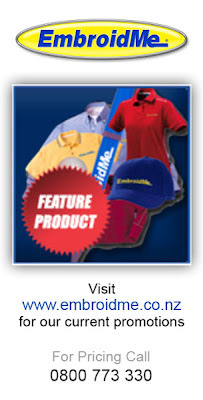 Work, safety and chef wear are some of our specialty products. 10. What’s the usual turnaround time getting embroidery done? We can usually deliver between 8 -14 working days. 11. Does EmbroidMe have a minimum quantity requirement? No we don’t have a minimum, we can take orders from 1 to 10,000! 12. My business has custom colours, do you custom build garments to suit my business? 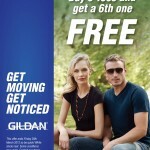 Yes, EmbroidMe can provide custom casual wear. Minimum quantities may apply. 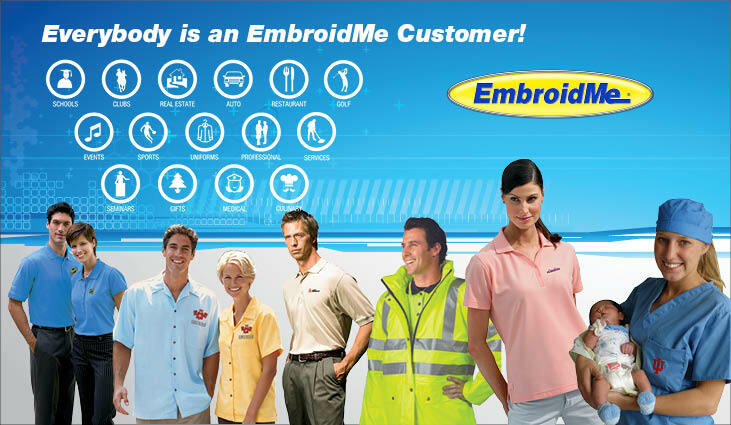 If you have any questions or are unsure please call your local EmbroidMe location.